Orange Avenue may be in line for a major facelift. 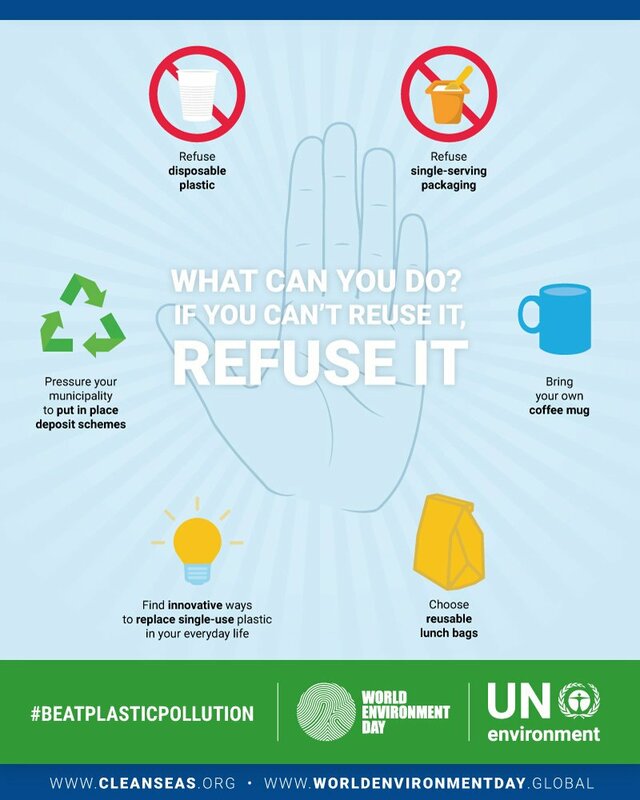 There is even a chance we will finally see some progress at Progress Point. What’s going on? City Codes Already Permit Mixed Use Development. Mixed Use districts are not new to Winter Park. Successful examples are Park Avenue, Hannibal Square and Winter Park Village. These districts are low intensity, a product of historic development patterns and are of walkable pedestrian scale. All have some form of shared parking. And what draws people to all three areas and persuades them to leave their cars for a while is open, visible, accessible green space with park amenities and plenty of trees. So, why not stick with what we have? Presently, Mixed Use zoning is allowed in certain areas — mostly downtown. The Commission’s discussion was about gateway corridors that are not part of the downtown Central Business District. The main gateway corridors — 17-92 from the north and south and Aloma / Fairbanks from the east and west – are crying out for Mixed Use. As they are now, these roads are better suited to fast cars than they are to foot traffic. To accommodate those cars that do occasionally stop, surface parking consumes a large, usually over-heated area – again, not friendly to folks on foot. Would the City be better served to create incentives in these areas for developers who would like to show some love to these unlovely corridors and create some attractive human-scale development that would draw some pedestrian and bicycle traffic? Why Not Start with West Fairbanks? After all the millions spent on sewers, lighting, repaving and undergrounding on West Fairbanks, wouldn’t this be the logical place for a Mixed Use pilot program? Instead, the City has chosen to tackle a more manageable corridor – Orange Avenue. According to Florida Department of Transportation (FDOT) figures, Orange Avenue carries about 15,600 cars each day. Compare that with Aloma, which carries as many as 46,000 cars a day. FDOT website notes these figures are 10 years old – so today’s counts are possibly higher. According to Stone, over the past 18 months or so, the City has been working with property owners like Mary Demetree, Roger Holler, Jewett Orthopaedic, Lumber Yard LLC and, not least, the City of Winter Park to determine what can be done to create a ‘sense of place’ along Orange Avenue that would make it compatible with the rest of Winter Park. The theory is that if the City grants these developers greater density and intensity, in return they would cooperate with one another to create a pedestrian-friendly environment with more open green space and park amenities, improved traffic circulation and shared parking within the zone of the pilot project. In this way, substantial benefit would accrue to all the citizens. Stone is suggesting a Mixed Use zoning category called an ‘Overlay.’ The Overlay zoning would “sit on top of the current zoning.” In essence, this would enable a developer who wants Mixed Use to build it, while a present or future landowner whose property does not conform to Mixed Use and who does not want to redevelop could continue to operate within the existing zoning guidelines. Stone pointed out that the main reason Hannibal Square is so successful is that at the outset, there was a professionally produced master plan. She urged the City to engage an urban designer to create such a master plan for Orange Avenue – before any code is written or any development is approved. 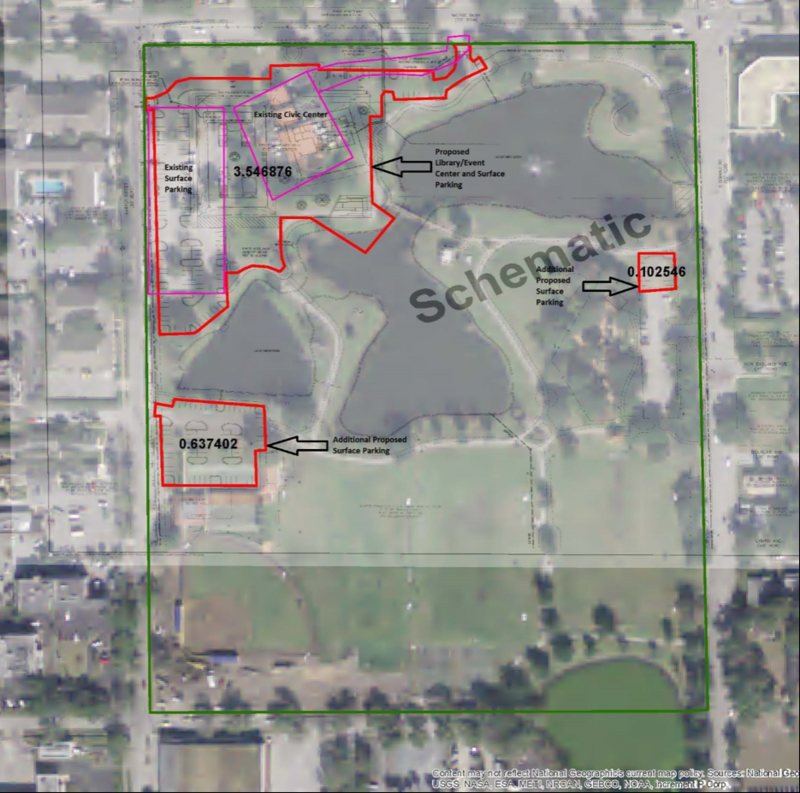 Stone noted that both Hannibal Square and Winter Park Village had a single developer, so there is a certain homogenous quality to them that would not be present on Orange Avenue, which has several large landowners. Nonetheless, this is an opportunity to create another district within the City that has a distinct identity. Rather than approving projects one-by-one on a piecemeal basis, here is a chance to create a neighborhood with continuity and its own sense of place. As the City embarks on formulating standards for Mixed Use, we should not lose sight of the fact that currently, any building over 10,000 square feet requires Conditional Use approval. The City’s comfort level with the size of a building has a well-defined limit – and the body politic has felt strongly enough to articulate it in the Comprehensive Plan and to require a developer to participate in a public hearing process to obtain approval to build anything that exceeds that limit. How Far are We Willing to Move Out of Our Comfort Zone? That Conditional Use provision has identified our comfort level. Will we be able to reconcile mixed use standards that allow buildings that large or larger as a matter of entitlement — without public hearing or input? Depending on how it is written, Winter Park’s Mixed Use overlay can end up looking like Winter Park Village – or it could look like Mills 50, both of which are successful Mixed Use developments. Ansaka LLC, the developer who made bright yellow ‘No Density’ signs sprout like daffodils from lawns along Aloma last April, returned to P&Z July 10 with a request to subdivide 1.45 acres of the property into six single-family building lots. 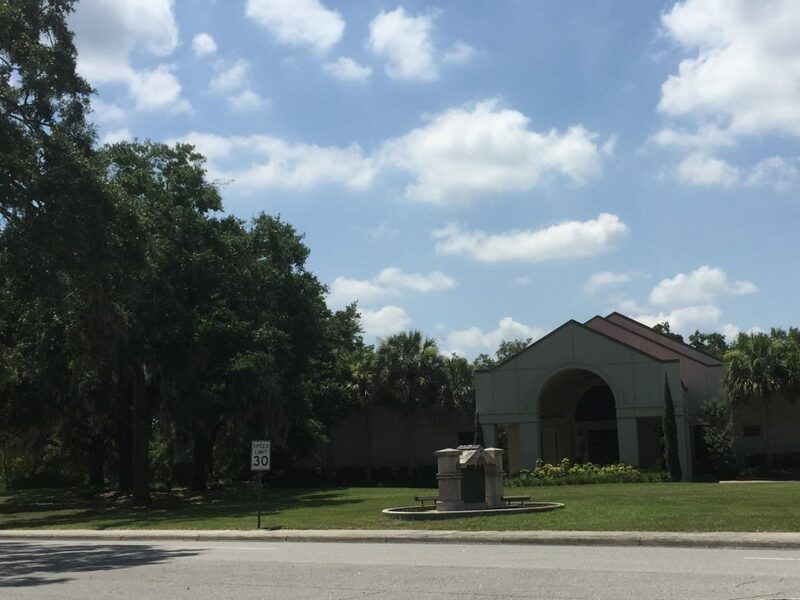 In April, Ansaka appealed to the City for Comprehensive Plan future land use and zoning changes to build 18 residential townhouses on the north side of Aloma Avenue between Lakemont and Phelps. City staff and the Planning & Zoning Board gave the project a thumbs up. When the project came before the Commission on April 9, however, neighbors’ concerns had manifested in the form of bright yellow “No Density” signs, and 24 residents spoke in opposition to the project. The Commission voted to table the item, giving the developer, Andrew Ryan, time to regroup. Ansaka now proposes to replat the entire property, which includes 1.45 acres zoned R1A, single family, and approximately 17,700 square feet of land zoned O2, office. The R1A portion of the property, measuring 250’ x 250’, will be subdivided into six single-family building lots. The office zoned portion will be developed at a later date, but was included in the replat so that future users would have access to the common drive, which provides safe access to Aloma. The six-lot single-family subdivision will have three lots to the south, toward Aloma, and three lots directly behind them to the north. The lots will have shared driveways and parking. 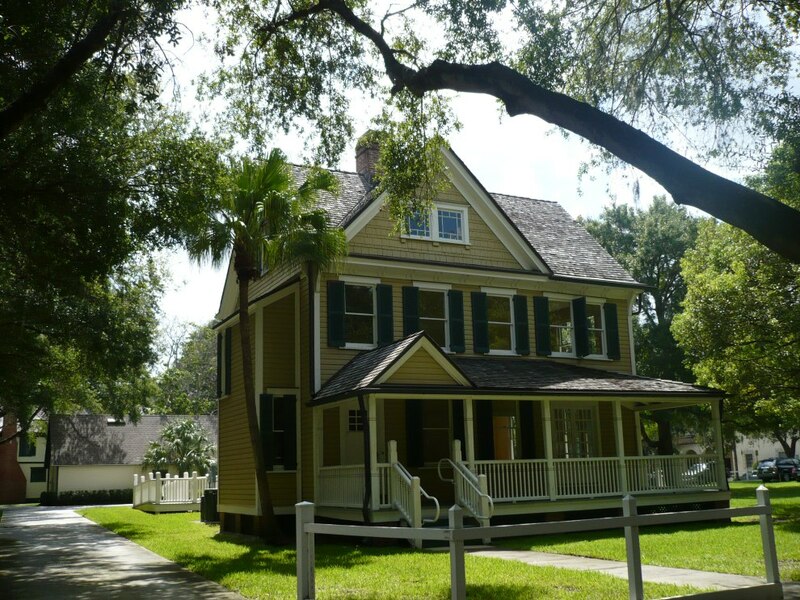 The City Planning staff recommended approval of the redesigned development, stating it will be “. . .good for Winter Park, its residents and the neighboring community.” The plan maintains current zoning, allows an access easement for the commercial property to improve future traffic patterns, preserves existing heritage live oak trees and incorporates street trees that will enhance the Aloma frontage. 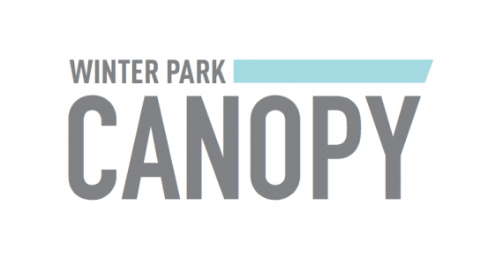 In the next step, Ansaka will request approval from the Winter Park City Commission. This is the second developer this year – the other being Zane Williams of Z Properties — to run the gamut of public scrutiny and come to the City with an application that takes into account the needs and wishes of the entire community. Served well are the neighborhoods in which they seek to build, the neighbors, the City, the Comprehensive Plan – and the developers themselves. Both developers are Winter Park residents who exhibit an understanding for and sensitivity to what Winter Park is all about. See the entire plan here. Graphic above is on page 32. The June Planning & Zoning Board meeting looked like it might be a contentious one. Several items on the agenda were repeats that had met with rigorous public opposition when they’d been to City Hall before. Among them were the old bowling alley property at 1111 W. Fairbanks and the Villa Tuscany Holdings property at 1298 Howell Branch Road. Also scheduled were requests by Z Properties to build an office building and parking lot, and by Sydgan for a zoning change — both in the Hannibal Square neighborhood. To round things out, there was a request for a lakefront lot split, something specifically forbidden in the Comprehensive Plan. But, this time, the system worked for everyone. Staff and applicants were well-prepared with requests that fell squarely within the spirit of what the Comprehensive Plan spells out as good for the city – and everyone gave as good as they got. The first order of business was the selection of Ross Johnston to Chair and Shelia DeCiccio to Vice Chair the P&Z Board for the coming year. This was followed by approval of final building elevations for the west end of the Winter Park Corners shopping center on Aloma and Lakemont and for the office building on the former bowling alley property at 1111 W. Fairbanks. Both sailed through with little or no discussion. Villa Tuscany Holdings LLC was up next, but instead of another version of the memory care center at 1298 Howell Branch Rd., they presented a request to subdivide the property into four large residential lake-front lots. Former opponents of the memory care project, Barry Render and Nancy Freeman, spoke in support of the proposed residential subdivision, and P&Z voted to approve. Z’s Dilemma . . . The next issue was a complicated request by Z Properties for zoning and future land use changes at 301 N. Pennsylvania Ave. in the heart of the Hannibal Square neighborhood. The lot is 100 feet wide by 200 feet deep and has a split Future Land Use designation. The half fronting Pennsylvania Ave. is zoned commercial and the rear half is zoned residential. The applicant wanted to erect an office building on the commercial half, but to do that, he needed part of the residential half as a parking lot to satisfy the City parking requirements for the proposed office building. That would necessitate rezoning part of the land from R2, residential, to PL, parking lot. Z Properties entered into a contract with the Hannibal Square Community Land Trust to build a new single-family home on 33 feet of the residential portion of the property and to deed over the home and the property to the Land Trust. The new home will be an affordable home in perpetuity. The new owner who eventually moves into the house will own only the building. Ownership of the land on which the home sits will remain with the Land Trust. Any profit the owner of the house might realize from a future sale is capped, ensuring the property will remain perpetual ‘affordable housing’ overseen by the Land Trust. 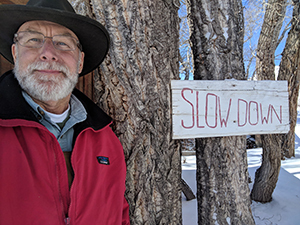 Following Sydgan’s request for rezoning, which turned out to be an administrative ‘clean-up’ with no controversy attached, Amy Black came with her request to subdivide a large 3-acre parcel on Lake Killarney into three single-family one-acre lots. The amendment to the Comprehensive Plan allowing the lake-front split would apply only to Lake Killarney and would not affect any of the Chain of Lakes. The result of this lot split would be three so-called estate lots – one acre or larger – where now there is only one. After being assured by the City attorney that the policy change applied only to Lake Killarney, and that nothing would change the ‘estate lot’ status of the property, P&Z voted to approve the request. And everyone went home at a good hour, all the better for having participated in the process. 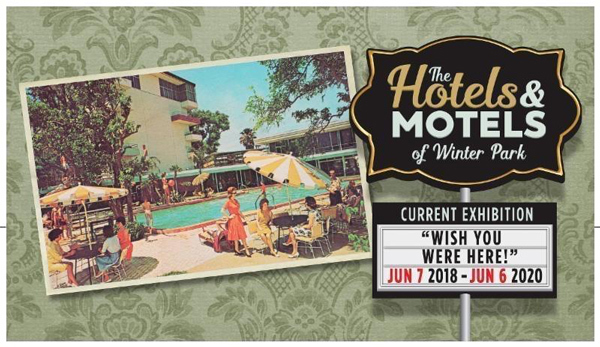 Mark your calendar – Thursday, June 7, 5:00 to 8:00 pm – The Winter Park History Museum will open its new exhibit, “Wish You Were Here: The Hotels and Motels of Winter Park.” This is a family friendly event that will feature food, friends and the music of Frank Sinatra. The vision Loring Chase and Oliver Chapman had for Winter Park consisted of two key elements. One was Rollins, established 1885, and the other was luxury hotels that would appeal to the wealthy ‘carriage trade’ from the northeast. To that end, they set aside three elevated five-acre lakefront lots for the large luxury hotels that became the Virginia Inn, the Seminole Hotel and the Alabama. The purpose of the hotels was to appeal to the type of guest who was wealthy enough to invest in the town and intellectually liberal enough to create a community that would be attractive to the academics who would create Rollins. The lobby of every luxury hotel featured a land sales office offering land for homesteads, commercial development and citrus production. Tours of citrus groves were a central feature of the sales presentations. As time passed, Winter Park became more established and the large hotels became centers of local community activity. Residents could buy memberships to use the hotels’ recreational facilities. The hotels provided a place for larger business and social events. It is fitting that Rollins has come full circle with the Alfond Inn, which serves as a watering hole for locals and as the repository for the Alfond family’s extensive collection of contemporary art – in addition to accommodating visitors from around the world. The show will include a study of smaller boarding houses and hotels that accommodated the working class tourists and staff who traveled with the wealthy luxury hotel patrons. There will also be a section devoted to the classic Florida motels that grew up around Lake Kilarney and 17-92, which became popular tourist destinations in the 1940s. As a Brand, Will That Cover It? Discussion of the new library-event center at Monday night’s May 14 Commission meeting seems to have raised more questions than answers. How much will the library-event center cost? After a dizzying hour-long discussion of design and building costs and possible sources of revenue, City Manager Randy Knight confirmed the total buildout of the Adjaye-designed library and event center, with all the add-alternates – the raked auditorium, the outdoor amphitheater, the porte cochere covering the entrance and a roof-top venue for the event center – will cost $37 million. The Commission voted to proceed with the raked auditorium, the outdoor amphitheater and the porte cochere. While they did not approve the roof-top venue buildout, they voted to engineer the event center structure so the venue can be added at a later date. There is still no parking structure in the budget – or in the plans. What about Operations & Maintenance? Cooper also pointed out that, so far, there has been no move to fund the operation and maintenance of the facility. Mayor Leary had suggested that some funds could come from the Community Redevelopment Agency (CRA), and Cooper pointed out that CRA funds could be used both for parking and for operations and maintenance. Apparently the City is also seeking to raise money from state and county tourist development agencies. Where Will We Get the Extra Money? To complete the components that have been approved, the City is still around $7 million short, according to Jim Russel of Pizzuti Solutions. That means additional fund raising has become a necessity. Majority thought from the dais, with Mayor Leary in the vanguard, was that if you have to raise money to build it, you must first brand it. Former Commissioner Tom McMacken kicked off the branding discussion. He spoke as a member of the current Library Task Force – which has taken on the task of creating a brand to use in the fund raising effort. 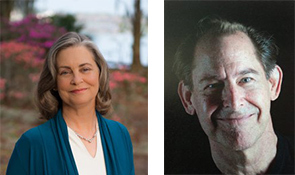 Task Force members include Sam Stark, Leslie O’Shaughnessy and McMacken, who also serves on the Library Board of Trustees. “When we go out to the public to raise money,” said McMacken, “what we hear is ‘Don’t bring us the old library.’” McMacken stated that a brand is so important that the Library Board of Trustees has put its current fundraising activity on hold until the City has agreed upon a brand. 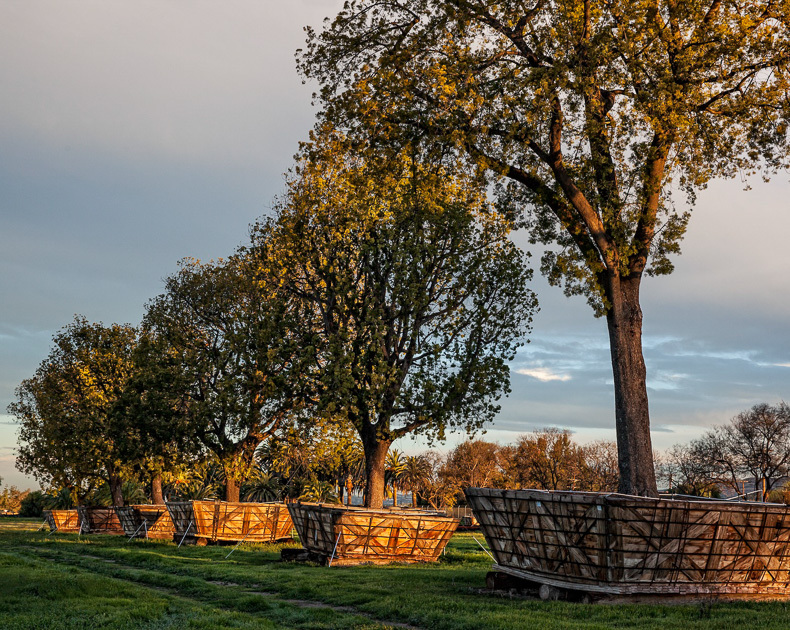 The notion of including Martin Luther King, Jr. Park under the rubric of the Canopy drew immediate resistance from Commissioner Sarah Sprinkel, who very clearly did not want to rename the park. She said she would agree to assigning the name ‘Canopy’ to the library, event center and the porte cochere that joins the two buildings, but was firm that nothing should happen to diminish the identity of Martin Luther King, Jr. Park. Why Not the ‘Winter Park’ Brand? Commissioner Cooper pointed out that ‘Winter Park’ itself “is an already mature brand that is recognized as excellent.” She suggested the work of the Task Force might not yet be complete, and that before reaching a final decision they would be well-advised to seek further input from people on the name ‘Canopy’ and the accompanying branding language. How Does ‘Canopy’ Relate to the Library? “I’m wondering,” said Cooper, “why the recommendation [Canopy] is so generic. I don’t see how it relates to learning, knowledge, reading, education, opportunity, or intellectual curiosity – all qualities associated with a public library. What would differentiate it from any other mixed-use development – in Winter Park or elsewhere? Despite reservations about brand confusion and questionable appropriateness expressed in citizen comments following the Commissioners’ deliberation, the Commission voted 3-2 to name the entire complex designed by British architect David Adjaye “The Canopy.” Leary, Sprinkel and Seidel supported the motion. Dissenting votes were cast by Cooper and Weldon. Have you ever gone to a car dealership to investigate an incredibly good deal only to realize the “deal” really is too good to be true? Or perhaps you were enticed by an ad for a condo with water view only to find that “water” was a retention pond. This is how folks who voted for the proposed “Library-Event Center” must be feeling. We were promised a beautiful 50,000 square foot Library and new Event Center at the corner of Harper Avenue and Morse Boulevard overlooking Lake Mendsen. We also voted for a parking structure that would adequately service both the new library and the event center. And finally, City literature told us, “The new library, event center and garage footprint will require less than 1percent of additional open space” within Martin Luther King, Jr. Park. As it develops, however, the situation becomes more and more like being the customer at the car dealership anticipating a shiny new Highlander and being offered a used Yaris instead. The 50,000 Square Foot Promise. Let’s begin with the library campaign to win voter approval for a $30 million bond issue for the demolition of the existing Civic Center and the construction of the new library-event center and parking structure. Just about every piece of literature sent to voters spoke of the need for more library space, overcrowding in the youth section and insufficient computer lab space. It is no wonder that the Library Board, the Commission and Citizens were excited about a new 50,000 square foot library. A letter from the then President of the Winter Park Library Board of Trustees to voters stated that the library would provide early childhood literacy areas, tutoring rooms, digital media labs, make the library safer, and provide for a new parking facility. Where Did We Get 50,000 Sq.Ft? Where did the “50,000-square-foot” number for the library appear? The Library Task Force, a committee authorized by the City Commission to come up with recommendations for the new library, stated in their final report that the estimated size of the library was 50,000 square feet, with the existing library at 33,742 square feet. We were getting an additional 16,206 square feet, a significant increase by any measure. 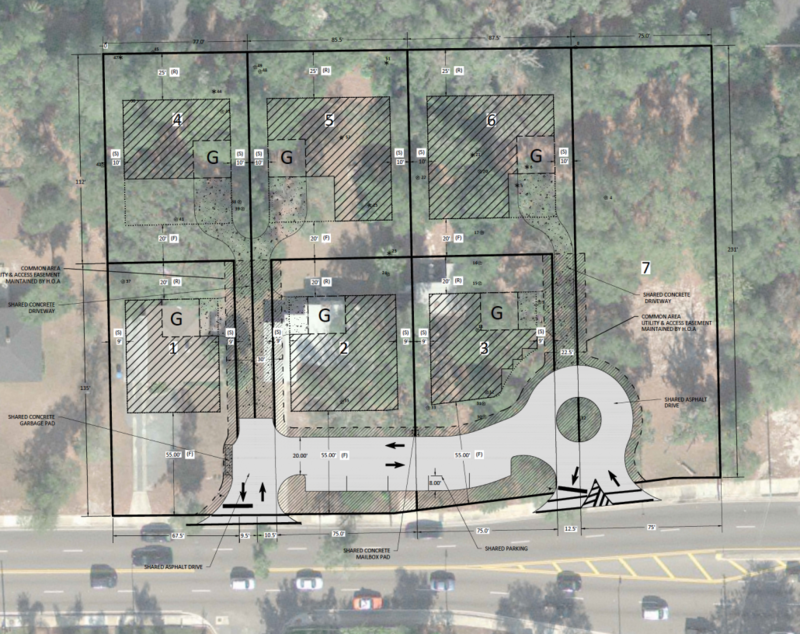 Following that, an email blast from the “yes for winter park library” Political Action Committee (PAC) clearly stated the proposed library was to be 50,000 square feet. That same email stated there would also be a one-story, 220-space parking deck. It must be a disappointment to the Library friends, neighbors and patrons to find that the new library will be barely larger than the existing library. Depending on whose numbers you use, we may be getting 867 or 991 additional square feet for a new library that everyone thought would provide significantly more space. The architect says the new library will be 34,661 square feet. Pizutti, the City’s program manager, says 34,785 square feet. The City website shows the new plans for a library-event center with surface lots spread throughout MLK Park, including parking spaces at the community playground off Denning Drive. On June 1, 2017 Mayor Steve Leary, City Manager Randy Knight and Finance Director Wes Hamil signed the Certificate Concerning Official Statement attesting to the truthfulness of statements made in the May 8, 2017 Bond Resolution. Now the Commission has decided that a series of surface lots will take the place of the parking structure called for on the ballot. How might the Municipal Securities Rulemaking Board regard some of these directives by the Commission regarding the new Library and Event Center? A review of the site plan for the new library-event center and parking shows considerably more space taken than the 1 percent promised. In fact, the new facility is approximately 15 percent of the total MLK Park’s 26.8 acres, or about 8 percent of the total park in excess of the footprint of the existing Civic Center. Eight percent is significantly more green space lost than the 1 percent promised. Footprint of New Library/Event Center and Surface Parking. Shortly after voters approved the library/event center in the spring of 2016, a lawsuit was filed challenging the proposed location at MLK Park. No location had been specified in the ballot language. The Judge in that case ruled that the ancillary documents provided prior to the election – mailers from the Library PAC, emails from the City, Library web pages and presentations by various committees — would lead a reasonable person to conclude that the library was to be built at MLK Park. The same reasoning can be applied now. The voting public can reasonably conclude the City will build a 50,000 square foot library and event center, and an associated parking structure. Peter Knowles Gottfried is an environmental scientist who drew up one of the first plans for Martin Luther King, Jr. Park in 1985. 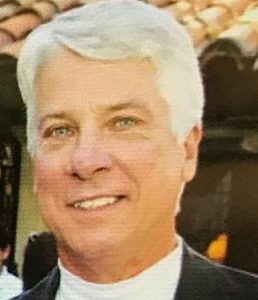 He was a Winter Park Commissioner 1986 to 1996, and then served on the Planning & Zoning Commission from 2011 to 2017. 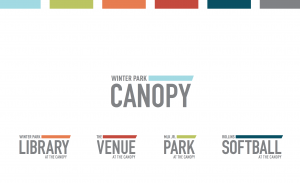 On March 26, 2018, the concept of creating a unique brand for the to-be-developed new Library and Events Center was brought to the Winter Park Commission. This concept arose from the Library and Events Center Task Force based on a recommendation by Sam Stark at the January 24, 2018 meeting of that Task Force. The recommendation presented was to use ‘The Canopy’ as the brand; this, is in spite of there being a local business already using that brand – the Canopy Café’. 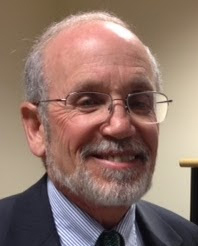 On April 09, the Commission did not take a position, though Commissioner Seidel did highlight a concern about a ‘potential annexation’ of MLK Park.’ The proposal was tabled for further discussion at the next Commission meeting. The topic did not appear on the agenda of the April 23 meeting; but, a number of members of the public (including myself) did raise the topic during the Citizen Comments part of the agenda. None spoke in favor of the branding concept; all were opposed. To my mind, it is unclear why these new structures demand a unique brand. We already have a strong brand – Winter Park! Why must this be undermined? And, to suggest that MLK Park, and everything in it, should be a subset of the Canopy is to add insult to injury! What we need is a ‘Winter Park Library,’ and a ‘Winter Park Events Center.’ These names are self-explanatory, and reflect our values as a community. I recently traveled to in Charleston, South Carolina, to attended a gathering of people from around the country who are engaged in the conservation of large landscapes for their benefits to people and nature. We had the opportunity to take a field trip and to hear from several of the community leaders who have been involved in land conservation and historic preservation in the South Carolina Low Country over the last 30 years. While Charleston itself is much larger than Winter Park, and the Low Country region is larger than the Orlando Metropolitan Area, there are lessons from the Charleston experience relevant to Winter Park and Central Florida. Charleston has an important history and a legacy of historic structures and green space. The people of Charleston have cared for the historic fabric of the city and have adopted local ordinances to ensure that historic structures are protected and that the scale of new buildings in the downtown area fit in with the traditional scale of the community. Similarly, both within the city and in surrounding areas, there has been a sustained effort to protect open space for its ecological, cultural, and recreational values. This has been accomplished by cooperation with federal agencies, by bonding to finance land acquisition in Charleston County, by creative development plans, and by private landowners donating the rights to develop their rural lands. As a result, there is now a greenbelt of conservation lands two-thirds of the way around the city, and there are many places where people can access parks, refuges and waterways. Another part of Charleston’s history is important to this story. Charleston was the point of entry into North America for a large number of the African slaves brought to this country prior to the Civil War. Charleston is sensitive to this aspect of its past, and has worked hard to ensure that the African American community and its history are recognized and respected as Charleston moves forward. One clear reason for the success of conservation and historic preservation in Charleston has been extraordinary cooperation among non-profit organizations, local government, state and federal agencies and private businesses working together to protect the character of the region. Economic development interests have recognized the value of Charleston’s heritage and have contributed to its protection. For example, Boeing made funds available to purchase a key parcel of forest land for conservation to offset the environmental impacts of the construction of its large new aircraft manufacturing plant at the Charleston Airport. The protection of the historic and environmental character of the Charleston Region has not been an impediment to the economy of the city and the surrounding area. In fact, the quality and character of life in Charleston has been a key stimulus to economic development. It has attracted second home construction, tourism and the location of high-wage manufacturing. All of this has made the Charleston region one of the fastest growing in the country. The lessons for Winter Park and Central Florida seem clear–that protecting the historic and natural character, scale, attractiveness and diversity of Winter Park and the surrounding region should not be thought of as opposed to the economic well-being of the city and central Florida, but as a long-term investment in the assets of our community that will attract quality growth while providing a sense of place, history, and belonging to the people who live and work here.